12 Options to choose from! 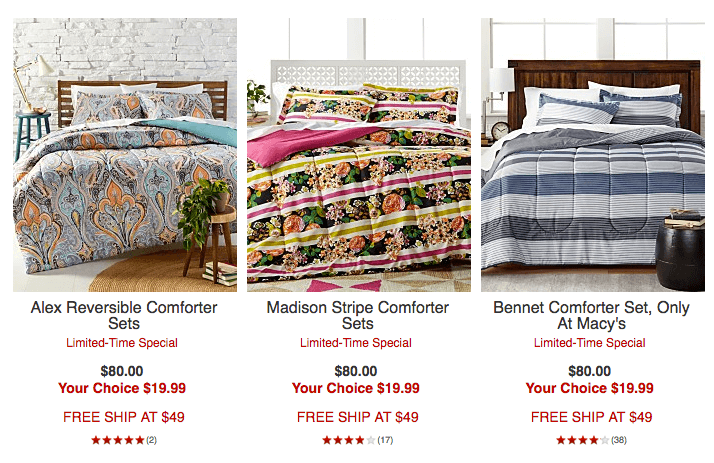 You can get at Macy’s: Twin-King 3-pc. 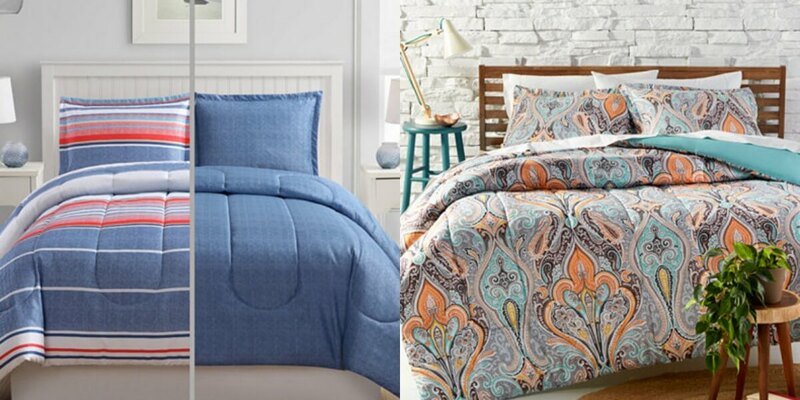 Reversible Comforter Sets $19.99 (Reg. $80) get Free Shipping with any Beauty Purchase (from $4). There is a $3 surcharge for delivery. Some styles have free store pick up. Also checkout some of the closeouts for $21.99+ you can use the code MOM for an extra 15% off on these sets.